The Kettler Yoga mat is the optimal mat for yoga exercises. Of course, pilates, gymnastics or balance exercises can be done as well on the training mat. 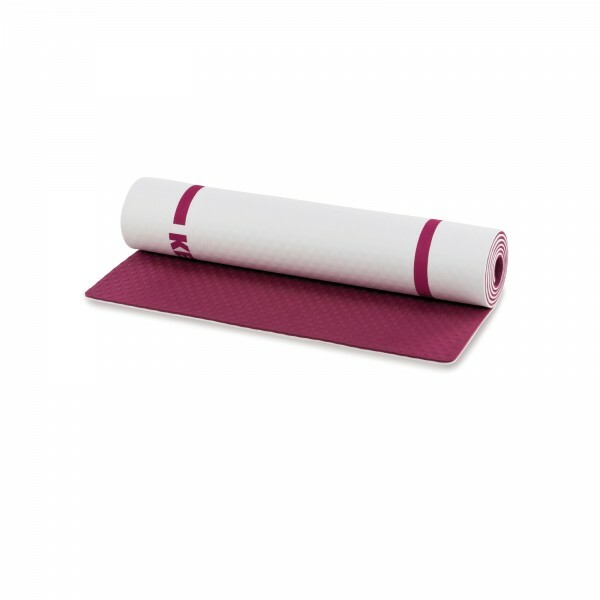 The Kettler Yoga mat is made of non-slip TPE material. You get more safety for the workout. It is also a comfortable absorption against a hard floor. The mat can be rolled up after the workout and fixed with a carrying strap. It is easy to transport. This is ideal, when you wish to use the Kettler Yoga mat at gym, in the open or with friends. The Kettler Yoga mat is available in elegant design of the Kettler Balance line from now on. Great little mat. It roll out flat and remains flat even when it is stored rolled up. Nice and soft.